On June 9th, at the American Police Academy Hall of Fame building in Titusville, the North Brevard Republican Club held its Candidate Forum. Candidates for all the races were given 15 minutes to share their ideas and plans for the positions they seek in this fall’s elections. Katye gave an informed, confident speech, showing expertise on the subjects and fresh ideas that inspired many who listened. 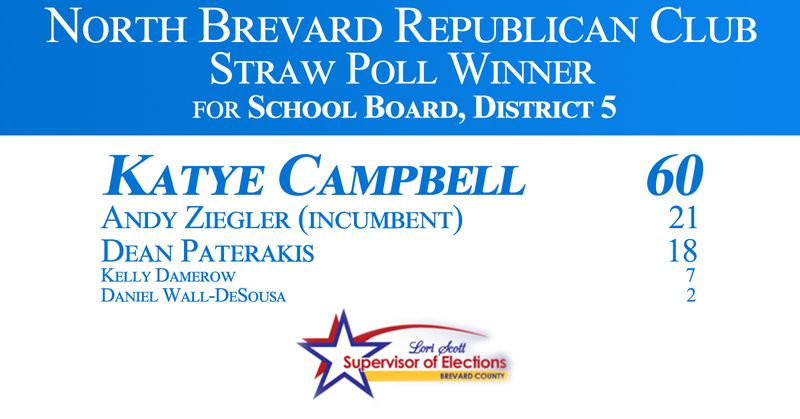 The approval showed in the straw poll when she defeated the closest competitor, incumbent Andy Ziegler, 3 to 1.